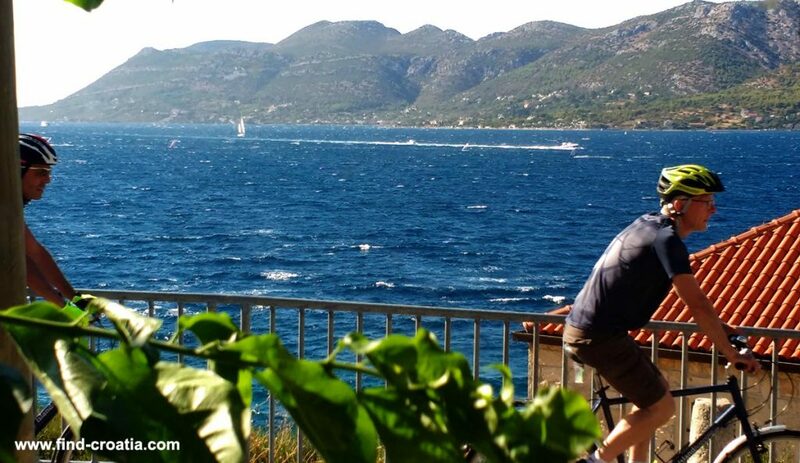 This suggested journey of cycling along Dalmatian Islands takes you from the architecturally stunning Trogir near Split to the Renaissance city of Dubrovnik. En route, you will pass cycling numerous villages, tiny medieval walled towns and lovely quiet pebble bays set against a backdrop of pine forests and mountains. You start your trip on the mainland riding the Makarska Riviera with cliffs, clear waters and coves to one side and the rugged slopes of Biokovo mountain to the other; the most beautiful coastline in Croatia. You will cycle pass towns of Omis, Tucepi and Drvenik where you can take a ferry to Sucuraj – on the Hvar Island where you can spend some time cycling around this island. From Hvar town, you take a ferry to Vela Luka on Korcula Island. On Korcula Island, you can spend a few days riding through woodlands and historic villages taking some time for sightseeing and swimming. Here you can stop and visit Korcula Old Town – a medieval walled city positioned on an oval-shaped swelling of land pointing deep into Peljesac Channel and swim in unpolluted waters of Korcula Archipelago. The last part of this cycling journey takes you along Peljesac peninsula to Dubrovnik, the once proud port-city that rivalled Venice in influence and architectural gem as well as enjoying its nightlife too. You will cycle along the whole Peninsula and join the Croatian mainland near Ston town, well known for its oyster production. The journey continues further south for another couple of hours when you will approach deep Rijeka Dubrovacka bay and Dubrovnik town. Check Croatia ferries to islands page to plan your route in detail.